As we continue this journey of trying to eat more healthy, with the hopes of sharing our thoughts with our neighbors and friends, we are encouraged by how a few changes can have lots of benefits. Here's a list of top changes we've made to our diet, in a rough order of importance. 1. 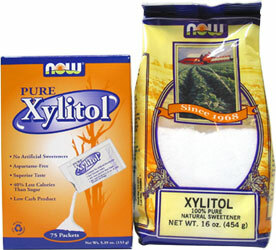 Use xylitol, stevia, raw sugar, organic sugar, honey, and 100% maple syrup instead of white sugar and artificial sweeteners. We didn't usually drink soda, sweetened milks, or most juices anyway, but did eat a decent portion of desserts (ice cream, brownies, cookies). 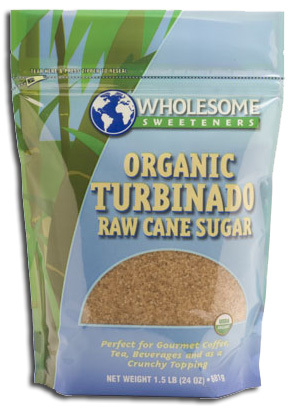 For a few months, Ming and I have reduced the amount of sugar that we eat, and we switched from white processed sugar to raw sugar. As a result of eating healthier, the pain that I felt in my hands and wrists - which I thought was caused only by keyboard usage - went away! 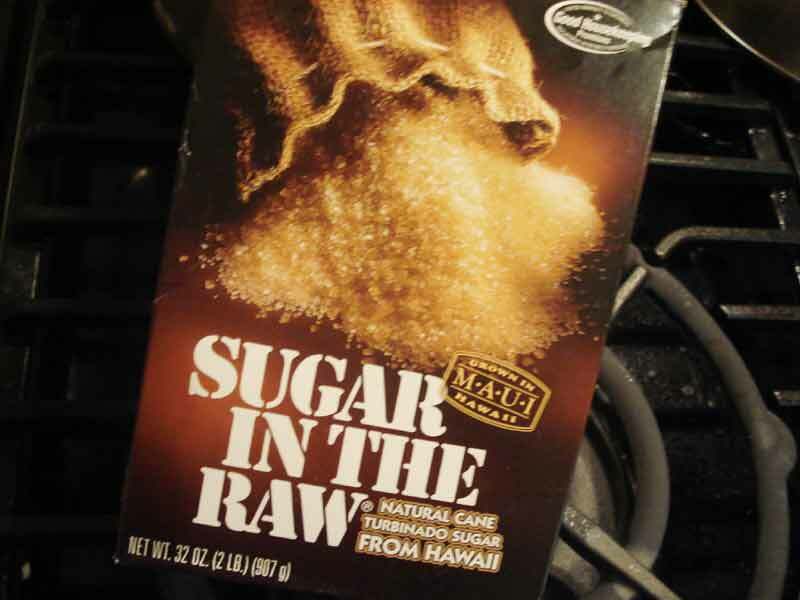 White processed sugar can be an inflammatory agent to your body. Our kids' piano teacher experienced the same thing with arthritic pain. Also, not surprisingly, we have less plaque on our teeth. The average American consumes between 3 and 5 pounds of added sugar a week, adding up to 200+ pounds of added sugar a year per person. These two points alone have completely changed how we eat breakfast. No more packaged breakfast food. If you buy whole wheat flour from the store, it can be a little grainy when you cook it. But if you mix an equal portion of plain yogurt with the flour in a bowl, and leave overnight, it will start to ferment the wheat. The wheat will become softer and lighter; and the yogurt will release even more nutrients from the wheat for your body to absorb. In the morning, just mix in a little bit of baking soda, 1 – 2 eggs depending on the amount of flour. Sometimes I boil and puree a sweet potato and mix that into the pancake batter. We use 100% maple syrup. Whole wheat pancakes are a lot more filling than the light, empty pancakes made from white flour. * beef bone broth soup: I've found a nice butcher who sells grass-fed beef bones to me for $1.70/lb. I make about 3 gallons of broth at a time. Keep the beef from the bones. Then add salt, thyme, carrots, cabbage, onion, avocado. * nut-based waffles or pancakes: we use a vitamix blender to grind up cashews or almonds into a butter: 2 cups nuts, 4 eggs, 1 stick organic butter, 1 tablespoon vanilla extract, 1.5 teaspoons baking soda, pinch salt, 1/4 cup honey (optional) or 3 tablespoons xylitol (optional). Top with berries or sauteed bananas. * salad: I (Mako) have taken to eating lettuce, arugula, tomatoes, avocado, red onion, seasoned with dill, salt, pepper, and olive oil - really wholesome and delicious! Sometimes I throw in grilled chicken or fish. Also, we changed up our desserts and snacks. For healthier desserts, we've gone with things that we can make with freshly ground whole wheat (from our mill) which has the bran and germ levels mixed in there, and xylitol or turbinado sugar, not white or brown sugar (which is only white refined sugar with food coloring added back in); honey and 100% maple syrup are really good substitutes for sugar also. * almond flour cake: 2 cups almonds ground up in a vitamix blender, 2 eggs, 1 stick organic butter, 1 tablespoon vanilla extract, 1.5 teaspoons baking soda, pinch salt, 2 tablespoons xylitol, 1/8 cup coconut oil, optional 1 teaspoon apple cider vinegar or lemon juice; cooked at 350 degrees for ~25 minutes; top with pears sauteed in organic butter, rum, and cinnamon. i've also made cookies from almond flour using the same recipe, and adding shredded coconut and chocolate chips - delicious! (Update July 2012) A few months ago, Ming discovered that she has a sensitivity to gluten, so we're experimenting with different kinds of flours: millet, sorghum, rice, and tapioca. 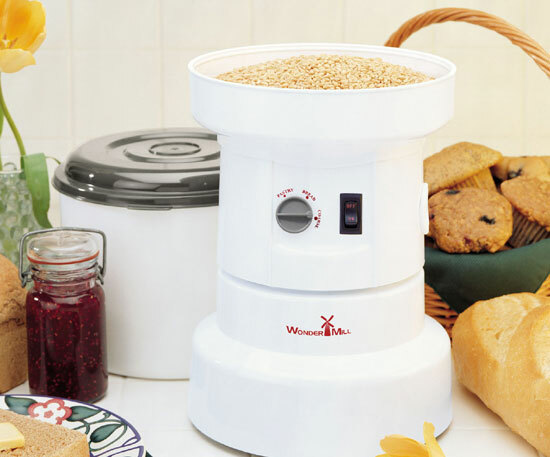 We got a bread maker and it's really easy to make bread. Some substitutes for flour, butter, oil, and sugar are found here. 3. Choose organic vegetables and organic fruit in season from the Aggregated Nutrient Density Index. We're trying to follow the new U.S. food plate and have 50% of our diet be vegetables and fruit. Collard greens, kale, watercress, bok choi, arugula, cabbage, broccoli, cauliflower. You can eat non-organic cabbage; it does not absorb pesticides, but everything else does, so we get big quantities when organic stuff goes on sale. The heavy leafy greens like collard greens and kale are nice because they absorb flavors and have more iron. Raw carrots, celery, and tomatoes with garlic hummus are good. Arugula in salad is quite tasty. We've also discovered some recipes with beets, leeks, and sweet potatoes. Again, mixing some of these veggies in with good broths, or beans, has been great for flavor. Pictured (left) is an improvised Mexican tostada I learned in East Palo Alto, CA: a tortilla (wheat, fried in organic canola oil) with beans (not canned refried, but from dried beans that are boiled then mashed) with raw cabbage, onion, and cilantro, boiled and shredded chicken, and hot sauce. Also (right) is raspberry jam made from raspberries picked from our garden (June-July), and homemade ice cream. Christina Jenq (12/20/12) noted: "This is a major finding in obesity research - a specific bacterium found in an obese human was isolated and injected randomly into mice. Mice with the bacterium gained weight while the other mice without the bacterium did not when fed a high fat diet, all else constant. Further, a man weighing 385 lbs lost 113 lbs in 23 weeks while eating a special diet designed to limit the growth of this bacterium while being prevented from exercising. This obese man also recovered from hyperglycemia and hypertension. What did the diet consist of? It was composed of whole grains, traditional Chinese medicinal foods and prebiotics, i.e. foods that did not contain digestible carbohydrates that would lower the pH of the gut that encourages the bacterium growth. The authors note that bitter melon was particularly good at modulating the growth of this bacterium." 4. 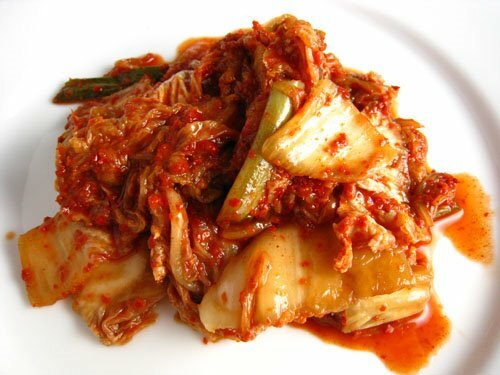 Eating more fermented vegetables like Korean kimchi, Japanese napa, or German sauerkraut because the enzyme content helps with digestion. 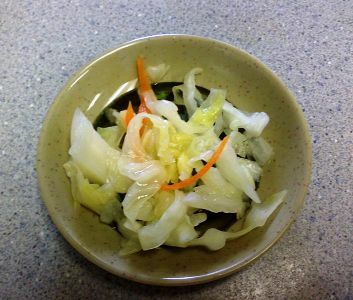 Almost every traditional culture has fermented vegetables. 5. Make broth from bones (preferably grass fed cows, free range chicken, and fish). Dr. Sally Fallon, author of the healthy cookbook Nourishing Traditions, recommends that people make broth once a week to get the benefits of the marrow. It's important for our own bones and joints. Especially for runners, who probably don't get enough calcium, etc. to heal bones and joints from pounding the pavement. Seasoning the broth with sea salt, rosemary, thyme, tarragon, garlic, sun-dried tomatoes, and other herbs gives the broth a nice flavor that can be made into most kinds of soup. The fat that rises to the top after refrigeration can be saved for frying - it's healthier than vegetable oil. 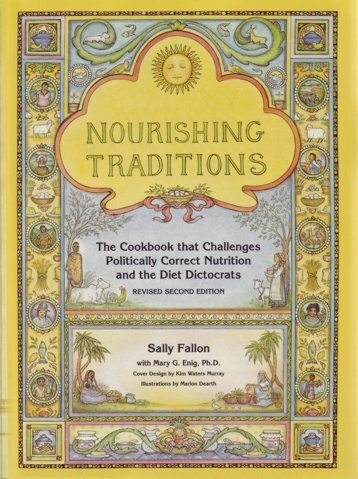 Incidentally, I've given the Nourishing Traditions cookbook as a wedding gift 4 times now. 6. 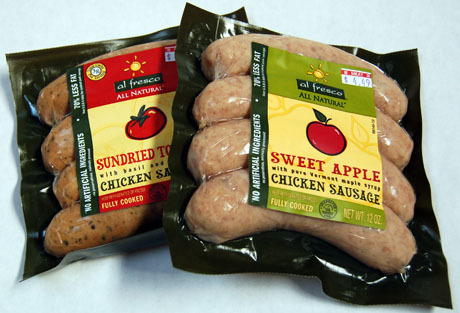 Buy nitrate-free packaged meats. 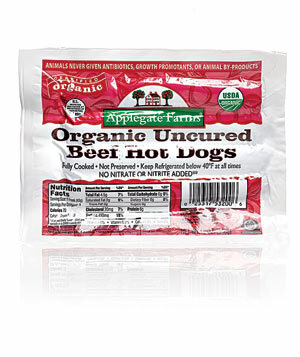 Nitrates are preservatives in bacon, sandwich meats, hot dogs, sausages, etc. But they are toxins that make your organs carry less oxygen, which can lead to a condition called methemoglobinemia. 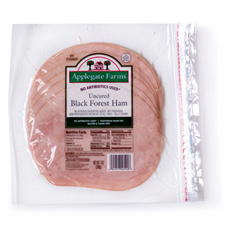 You can find "nitrate free" meats in most stores nowadays. If you eat nitrate-free bacon, you can save the fat and use it for frying something next time - surprisingly, it's also healthier than vegetable oil. 7. 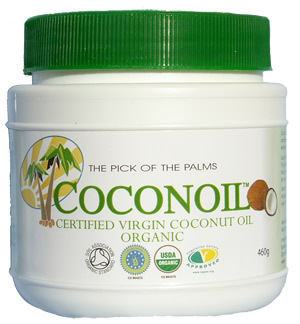 Use coconut oil, palm oil, organic canola oil, and cold-pressed olive oil for frying, not vegetable oil. Coconut oil is my new favorite. 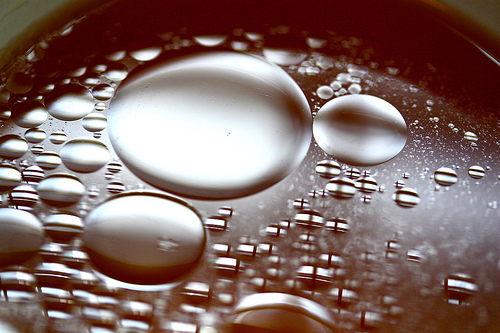 Vegetable oil is chemically altered and our bodies absorb more of it. After eating no vegetable oil for a month, Ming and I went to a Chinese restaurant and shared in a nine course banquet. It was probably the vegetable oil and MSG in the food that gave Ming a bad stomachache that night and throughout the next day. One nice dish is homemade "french fries" - really, sliced potatoes (sweet potatoes, too) baked with canola oil or olive oil; we've had a couple of dinners with that and homemade salsa (tomatoes, avocado, cilantro, garlic, salt, and hot sauce) that the kids love. We've not bought McDonalds' french fries for years, but now we have a really good alternative to that. Also, we use organic animal fats as frying oil: the leftover fat from organic, nitrate-free bacon, and the leftover fat from bone broth (see below). 8. Eat more legumes: lentils and beans, dried not canned or refried. Canned beans have preservatives. As you know, beans have good protein and fiber. They're also filling. Some of my favorite dishes are: (1) Moroccan chickpeas with garlic, oregano, cayenne pepper, paprika, cumin, and salt (and sometimes with eggplant - pictured here with brown rice and lamb); (2) sweet potato and chickpea stew with kale, onion, curry powder and rosemary; (3) black bean soup with garlic and cilantro; (4) minestrone type soup with beans and cauliflower; (5) Mexican-style red beans with nitrate-free sausages - easy to reheat on the stove and serve to the kids for breakfast; (6) Ugandan-style beans and rice. 9. Use brown, black, or purple rice, not white rice. Brown, black, and purple rice have more nutrition. Like white flour, white rice is the starch leftover after the nutritious bran and germ layers are stripped off. Unfortunately, in most Asian cultures, brown rice is associated with poverty and wartime shortages, although we should have known better from history: In the past, it was eaten by the sick, the elderly, and as a cure for constipation (it has more fiber). Some say that if Asians ate brown rice instead of white rice, Asians would have been taller than Europeans because brown rice is better than wheat as a staple grain. It's currently more expensive than common white rice, partly due to its relatively low supply and difficulty of storage and transport. But, if more people eat it, we'll produce more and the cost will go down, right? Brown rice has natural vitamins B1, B3, and iron (the FDA requires rice suppliers to "enrich" white rice with those nutrients). 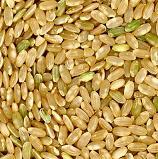 Brown rice also has 84 mg of magnesium per serving, which is awesome (magnesium is quite important), while white rice has only 19 mg.
10. Use a crock pot. 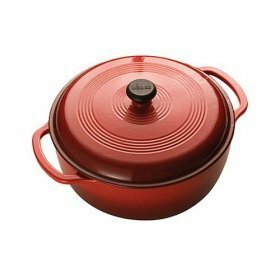 Dishes made in the crock pot are disproportionally good compared to the amount of preparation involved in just chopping stuff and putting it into the crock pot. Plus, you don't need oil since you're letting food cook in its natural juices and broths (like organic, free range chicken broth available in stores). Some of our favorite easy dishes are: (1) chicken with coconut milk, carrots, potatoes, onion, curry powder, garlic, and salt make a juicy, tender Thai curry chicken; (2) lamb with chicken broth, paprika, turmeric, cayenne pepper, garlic, ginger, salt, with lime juice and dried prunes added later makes a nice Moroccan lamb which just falls off the bone (pictured). 11. Use a water filter. Tap water lets too much fluoride pass into the water. And with filtered water, we're able to make a fermented tea called kombucha which detoxifies the body and helps your liver, though you can also drink a little bit of apple cider vinegar in water to get a similar benefit. 12. Stop using plastic plates, cups, and tupperware because of plastic leakage in the dishwasher. You can wash plastic stuff by hand in milder water - it's just that the super hot water in dishwashers strips plastic particles off to be ingested next time. Plastic intake is suspected in developmental disorders like ADD, ADHD, autism, etc. It is likely to be a big issue in the future because of all the plastic garbage floating in the Pacific (a garbage patch twice the size of Texas) and now in the north Atlantic. As that plastic travels up the food chain through fish to us, we're going to be in trouble.